The Internet’s best blog search widget has just released an ad network for publishers and advertisers. Lijit introduced it’s opt in program a while ago to allow publishers to earn money from the ads shown in their search windows. To date, Lijit has had 58% of their publishers opt in to take advantage of this program. 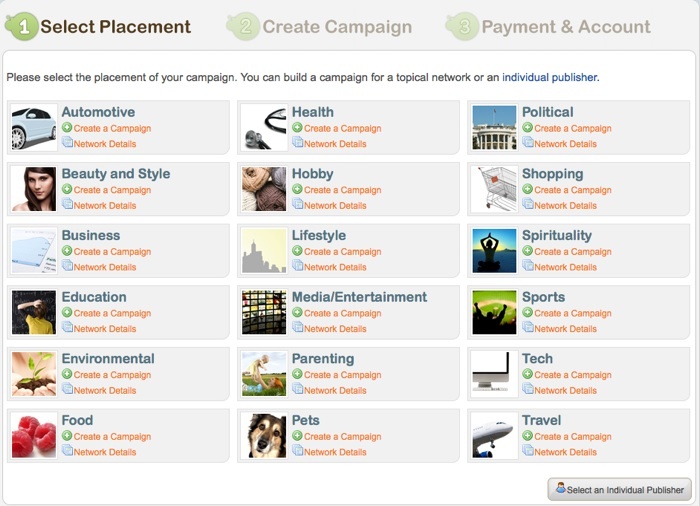 But now advertisers can take advantage of what the company has to offer as well. 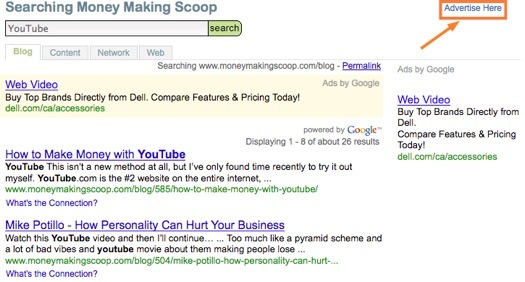 You can now sell your own keyword ad inventory, right next to the search results from your publication. Set your own prices and sell your own search ads. If you are unable or don’t want to sell your search ads, Lijit will sell them for you. In any case, Lijit will fill as much unsold ad inventory as possible through their ad network partners generating you money on top of the best search results available. This is pretty cool in my opinion — Lijit just keeps getting better. Take a look at what a perspective advertiser would see when searching your blog. If an advertiser were interested in placing their ad within your search window, they could click the ‘Advertise Here’ button in the top right and then select their category, write their ad copy, choose other options etc., as seen below. Because you can set your own prices as a publisher, depending on the popularity of your blog, advertisers can pay what YOU say. I can see this picking up steam pretty quickly as advertisers are constantly looking for new platforms to promote their product, and publishers are always looking for new ways to maximize their revenue. A new startup appeared, Grand Opening banner sold here! I will definitely need to try this out, adsense hasn’t been cutting it for me lately. Maybe something to do with the economy crisis? I haven’t been happy with the Google search bar I have on my blog tv on the web–you can see it at the bottom of the page if you check out my site. Question: Do you earn Adsense revenue on the displayed ads on lijit? If you opt-in to revenue sharing you do.